Turn the clocks back three years: Baltimore juggernaut Logic was relatively unheard of. Four mixtapes later, the Visionary Music Group skipper has ..
King Chip, formerly known as Chip tha Ripper, can sometimes be overshadowed by his close buddy Kid Cudi. While the latter has shown himself ..
Cleveland's own King Chip (formerly known as Chip Tha Ripper) has been periodically releasing tracks over the last few months to support .. The artist formerly known as Chip tha Ripper has maintained a low profile so far this year. In fact, we last heard from King Chip with the inauguration ..
A new record from Cleveland's King Chip surfaced today. "Heinous" features a guest verse from fellow Cleveland native Tezo. 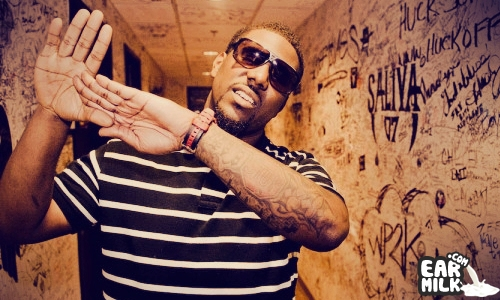 "Heinous," was ..
Here’s a brand new cut from Cleveland’s very own King Chip. "Deion Sanders" pays homage to the legendary football player as the artist .. Kid Cudi releases the video to "Just What I am" featuring fellow Cleveland native and protégé King Chip. The psychedelic video is set at a house ..
King Chip – "Ask A Baby"
King Chip (formerly Chip Tha Ripper), coming off his recent feature on Kid Cudi's record Just What Iam, returns with a brand new solo joint ..
After the recent name change from Chip the Ripper to King Chip, one of Cleveland's hottest rappers presents us with a single titled "The Truth". ..